Max Ernst (born 1891 in Brühl, near Cologne - Paris, 1976) was a German painter. 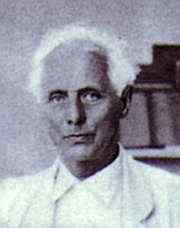 In 1922, Max Ernst, following an invitation of his Dadaist friends, Gala and Paul Eluard, Tristan Tzara, André Breton (First Surrealist Manifesto, 1924), and others, moved to Paris. Between 1941 and 1952 Ernst lived in America; in New York, where together with other European emigrant painters, he not only worked but also shared his knowledge and experience with younger American colleagues, thus leaving a lasting and profound influence on the development of American modern art. Colorado of the Medusa, 1953. Leonora Carrington, Portrait of Max Ernst. This page was last modified on 12 May 2017, at 16:37.